Slightly less massive than its 120-L brother, the Alpaca 90 is nevertheless no slouch of a hauler. A ton of volume and super-tough construction mean it'll take any load and any beating you can dish out. An internal divided mesh pocket organizes accessories for fast access, and removable backpack straps keep your hands free when you want to be. 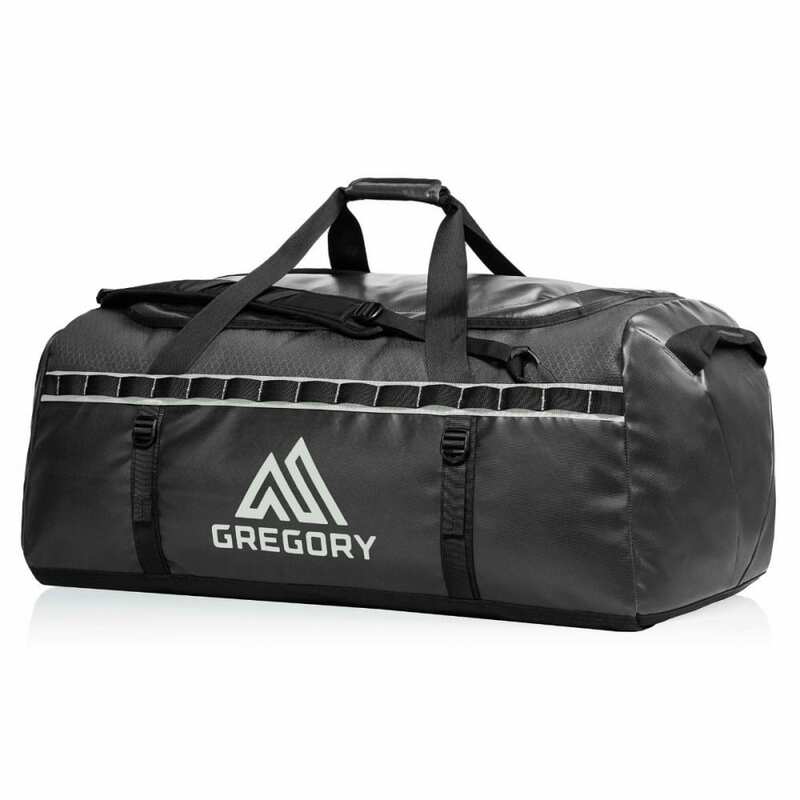 This product ships directly from Gregory and will leave their warehouse in 2-3 business days. Eligible for UPS ground shipping only. Padded backpack straps offer more comfortable transportation over long distances, and remove quickly via ladder-locks and girth hitches at the top and bottom. The zippered end pocket on every bag features an internal sleeve with a water-resistant, semi-transparent monomesh window for a gear tag or business card. A U-shaped zipper allows the entire top panel to open up for easy packing. TPU-coated body with diamond-weave reinforcing threads for exceptional water and tear resistance. Compression straps quickly eliminate the unused space for a secure load. Dual haul handles with hook-and-loop wrap for comfortable carry. Daisy chain for easy attachment to yak or rack. Dual-layer high-density nylon bottom panel, bar-tacked junctions, nylon bound seams with half-inch allowances, and double top-stitching in critical areas.